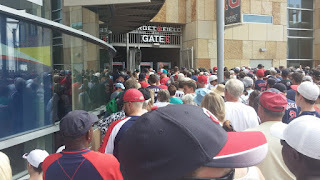 As I was getting ready for the Twins game last Saturday, I was going through my TwinsFest binder for cards to take along in case there were any autograph opportunities. I came across a card still in my binder that was signed, but I had overlooked when pulling all the other signed cards out last January. 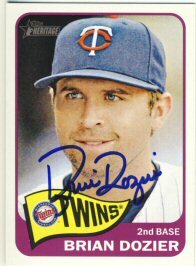 The card I had forgotten to take out was a 2014 Topps Heritage signed by Brian Dozier! Just barely though! 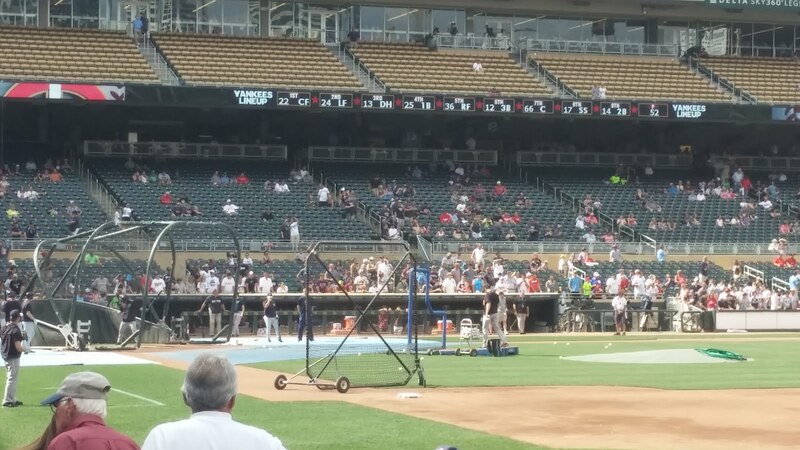 Now we're watching the Yankees take batting practice. We're 2 hours early, hoping for the Dozier bobblehead. Not sure we'll get them. 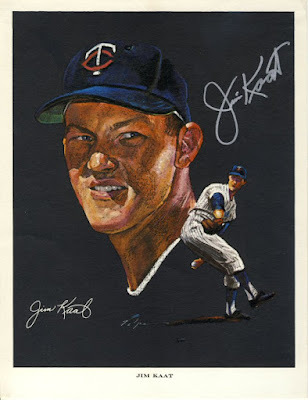 Over the weekend I received a couple of Jim Kaat autographs that I received from an Atommic Sports (Tom Orr) signing. I was out of town and the package was left on my front step, only to be doused by my sprinkler at least one day. 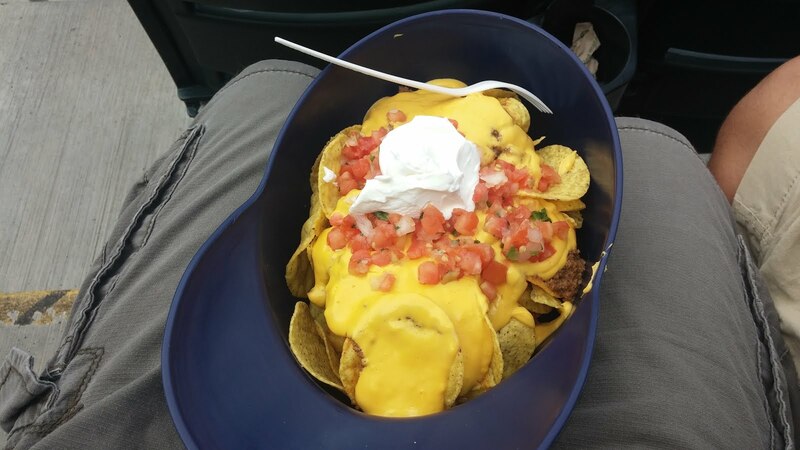 The box was a little soggy, but the items turned out to be okay. 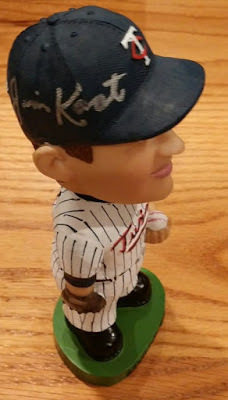 Mr. Kaat signed his stadium giveaway bobblehead from 2002 nicely on the cap. This gets me halfway to my goal for the year of getting two bobbleheads signed (after TwinsFest). He also signed his Nicholas Volpe Western Oil portrait from 1963. I have 12 of the 24 signed from this set, but completing it will be difficult as many of the players are deceased. After updating my goals at the mid-way point for the year, I decided I better get going on a couple of them. Chris Potter was having an Ebay sale on signed cards, so I added a couple 1972 Topps to my collection. 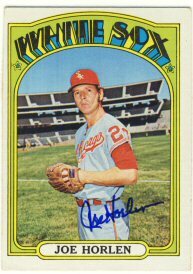 Joel Horlen is not a bad signer through the mail, but since his card is in the high number series, I didn't want to waste too many tries trying to get him to sign for me and just bought one from Chris. 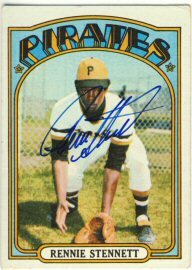 Rennie Stennett rarely signs through the mail, so I was happy to get this one added to my collection. I haven't been very active with my collection the last couple of months. I have run out of cards to send and just haven't taken the time (or money) to buy some. Goal - Send out 150 through the mail requests. - So far I've sent out 49, so I have quite a bit of catching up to do, but sending out 100 requests in six months shouldn't be a problem. Goal - Add 50 more cards to my 1963 Topps set. - I've added 37 so far. 13 more in six months should be easy. Goal - Add 2 more cards to my 1958 Topps set. - I haven't added any. I don't have many left to get that aren't expensive, and there are very few ttm options left for me. Goal - Add 5 more cards to my 1965 Topps set. - I've added two. Three more seems reasonable. Goal - Add 10 more cards to my 1972 Topps set. - I've only added one! I better get going on this one. Goal - Add 2 more signed bobbleheads to my collection. 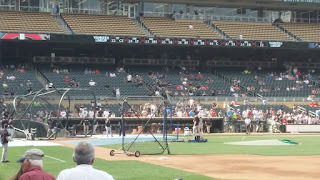 - This goal doesn't include all the ones I got signed at TwinsFest. I am expecting a Jim Kaat bobblehead from a Tom Orr signing back any day now. I'll need to get one more before the end of the year. Goal - Add 5 more signed magazines to my collection. I haven't done enough of these in the last few years so I'd like to get a few more from the 50's and 60's. - I haven't sent any out yet! I don't even have any to send out. Another one I need to get going on.